When I was a kid, we didn't have a Christmas tree most of the time. Or stockings. So when I got married, I was determined that each Christmas we would have a REAL tree! For our first Christmas we went to a garden centre and spent an arm and a leg (or it felt like that at the time with peanut-sized household income) on a cute little tree. As unprepared as I was for the cost and the mess of needles, I reveled in the scent of pine (or was it spruce?) that filled our 400 square foot apartment. The next year, we had a couple hundred more square feet of space in a different apartment, but we weren't allowed to to "store combustibles." Meaning, no real tree for us. So we reluctantly bought a fake tree to use for the two years we lived there. Then we bought a townhouse, and as we were the owners, we could do what we liked! Around the same time, we discovered Ikea's parking lot full of trussed-up trees for $20 each. So I got my real tree smell! Sure, the Ikea trees weren't exactly the most picturesque, but they were full, sturdy, cheap, and—most importantly—real. Last year, my husband got fed up with the light stringing. I don't blame him, it's an arduous job! We put off even setting up our tree until mid-December because I wanted a real one, and he wanted a pre-lit one. Eventually I relented and we started looking for a tree. Long story short, we ended up getting a display tree that someone had returned because the lights on the middle section were coloured, while the top and bottom where white. So we paid $30 for the mis-matched pre-lit tree and then discovered when we got it home that the only problem was that they'd put the plugs in the wrong way. I think we got a deal. But alas! It sure didn't smell like Christmas around here, and I coldn't find a tree-scented candle that didn't remind me of floor cleaner. When I lamented that fact on Instagram, several people suggested ScentSicles to get the scent of a real tree in the house without having to burn a candle. I have to admit, I'd seen ScentSicles in the stores, and rolled my eyes, thinking, "Why don't people just get a real tree? I bet those smell like chemicals." 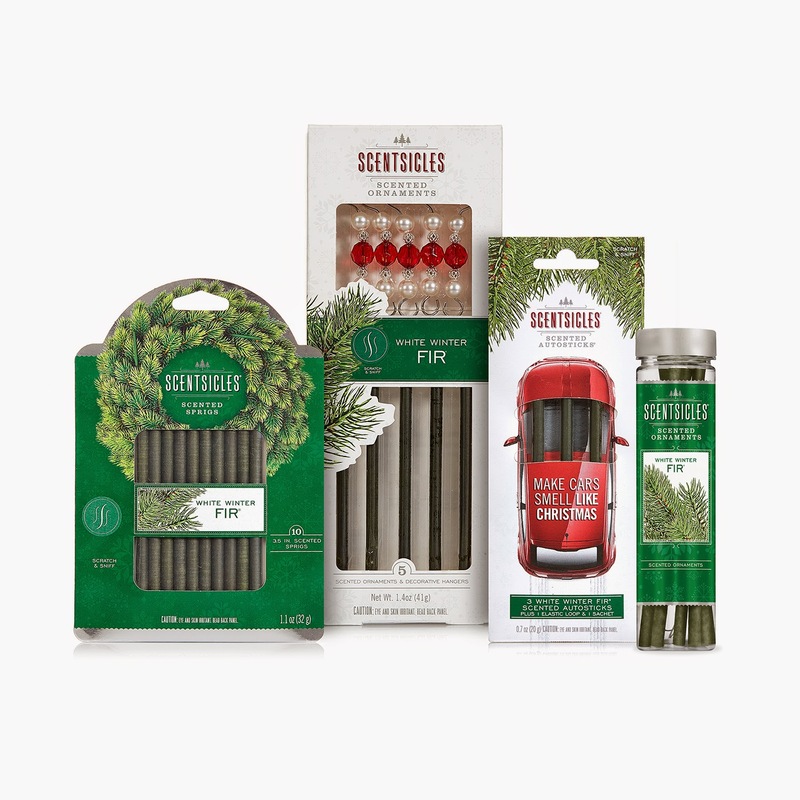 Funny thing: the very same day I was complaining about my scentless tree, I got an email offering me the chance to review ScentSicles products. So I said sure, why not? My box of tree-scented items quickly arrived quickly, and the first thing I saw when I opened it up was an autographed picture of Lumber Jack. I thought that was hilarious, and quickly snapped a picture to send to my chick-lit-author friend, and another friend who I knew would get a kick out of it. So, I loaded up my tree with the recommended number of ScentSicles ornaments. My first impression when I opened up the bottle was "Whoa!" The scent was pretty overpowering, and I worried that it would be too much for our little house. I was rather dubious that this experiment would be a success when I left to pick up my daughter from school. Luckily, 30 minutes outside walking to and from school cleared my head, and as we walked in the front door, I was hit with the perfect Christmassy smell of White Winter Fir. It's not overpowering, and—in the absence of any real greenery to compare it with—smells completely natural. We also tried the Autosticks, and both myself and my husband really like them. Rest assured, they don't smell like those tree-shaped car fresheners! I get into my car and get hints of pine and maybe citrus, and it has certainly made Christmas shopping feel more Christmassy. My favourite scent of the three they sent me is Snow Berry Wreath. But I'm lacking any wreathes to tuck the short scented sprigs into. I'll have to find somewhere discrete to stick them. Like on top of the door casings in each room. Overall, I was pleasantly surprised to find I like the ScentSicles products. ScentSicles has offered to send one of you a gift pack containing the scented ornaments, and the Autosticks. It'll be a quick 2-day giveaway since Christmas is coming quickly. Enter below! Disclaimer: While I received free product in exchange for writing a review, the opinions expressed in this post are mine alone. I purchased the tree ornaments in Spruce this year and was pleasantly surprised at how well they worked. My husband thought I was crazy but I missed having a real tree as much as you. I was so surprised that my husband actually was interested in them. I just added some Spruce scented ones to my tree, since the others had faded (which took a month!). It's a great scent! This has me very intrigued. It's the first time I've heard of ScentSicles. I also miss the smell of a real Christmas tree from when I was a kid. I also desperately need something to make my minivan smell more pleasant. 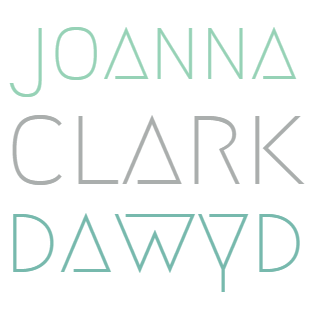 Thanks for doing this review, Joanna!